BTW, she is great on all 3, esp. Enchanted Island. my fave Rosina bar none. And agreed on the Enchanted Island - hers was the standout performance. For 12 dollars I thought I'd give it a go. Not one of my favorites. The singing is ok, but tempi too fast for my taste. I just ordered from Amazon the DVD of the 1982 Covent Garden performance of LA BOHEME with Ileana Cotrubas, Neil Shicoff, and Thomas Allen. Having always heard this version spoken highly of, I was considering it for years -- then I saw a trailer on Youtube that made up my mind for me. 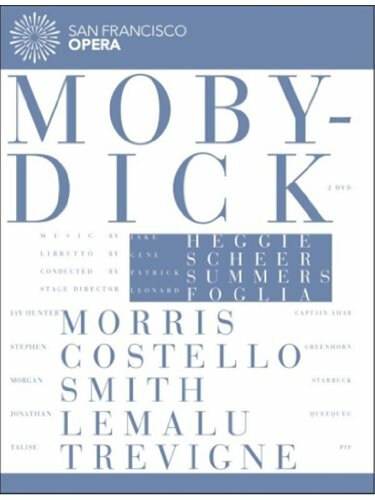 I can't wait for the DVD to come; I think it's going to be great. Last edited by Bellinilover; Oct-19-2013 at 23:09. A very exciting well sung version. Chapter 2 on its way to my greedy little hands. 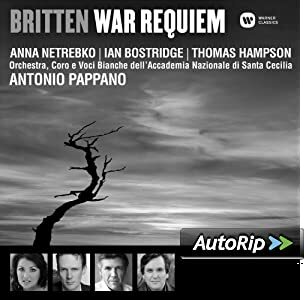 I need another War Requiem like a hole in the head, but somehow the words Ian Bostridge have the effect of dragging my index finger irresistibly to the "proceed to checkout" button. 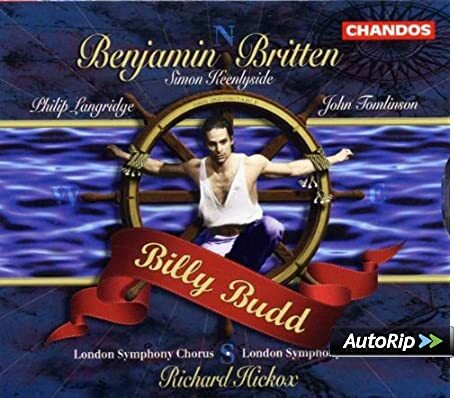 I listened to this on Spotify after seeing that it is Gramophone's first choice for Billy Budd. And I could see why, powerful (without sacrificing beauty of tone) Vere, youthful ardent Billy, sonorous Claggart, fine comprimarios. So I HAD to own it. 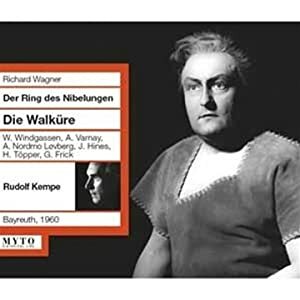 A Robert Carsen production, Simon Rattle conducting the Berlin Phil, Pavol Breslik as Tamino, and luxury casting of comprimarios (José van Dam as the Speaker; Annick Massis, Magdalena Kožená and Nathalie Stutzmann as the three ladies? No brainer, buy buy buy. Ordered this one last week and received it today. 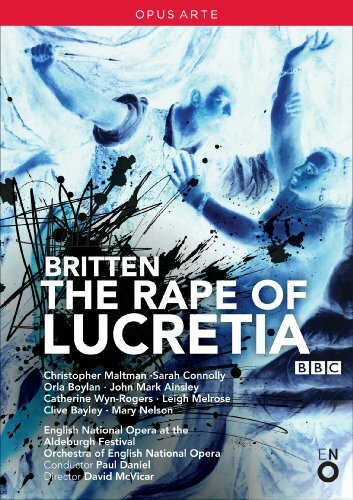 Comes with a very nice booklet, including libretto. I've only checked out the first few tracks as I won't have ample time necessary to listen to it until later this weekend. The Toccata includes "ambient sounds" and the arriving "audience" going rhubarb-rhubarb in simulation of the public congregating and being summoned by fanfare. It was annoying at first, was this to be a harbinger of how it will play out in the rest of the cd? But no, it was just an opening affectation to suggest how it was done in the 1607 premiere in Mantua. But then the acoustics shape up and the very precise and studied rendition of the Prologo take over. Sounds promising. It was recorded last year, according to the liner notes in the booklet. Good supernatural fun. Already listened to it once. I'd love to see a suitably spooky performance. I know there was a project to launch a DVD of the Bologna's performances with John Osborne and Carmela Remigio. The production was signed by Pier Luigi Pizzi. Who knows?. Maybe it will finally appears someday. Thanks Schigolch. The production looks rather unlikely. 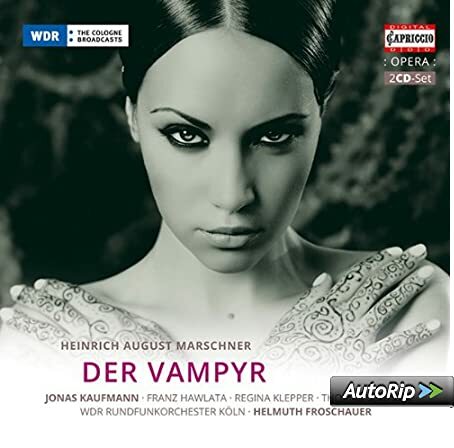 If there was ever an opera screaming out for straightforward spooky Hollywood style romanticism, it's this one. 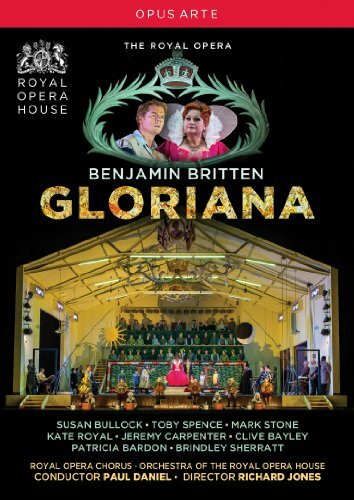 If there was ever an opera screaming out for straightforward spooky Hollywood style romanticism, it's this one. 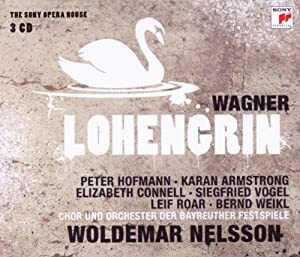 IMO, this opera screams for being forgotten at the first place. Or maybe it is somewhat valueable as reminder that romantic period wasn't all Byrons and Chopins and that there was something that we might call romantic exploitation art, works that made use of most cheap elements and themes popular at that time. Der Vampyr is almost like XIXth century Twilight. Last edited by Aramis; Nov-02-2013 at 13:08.